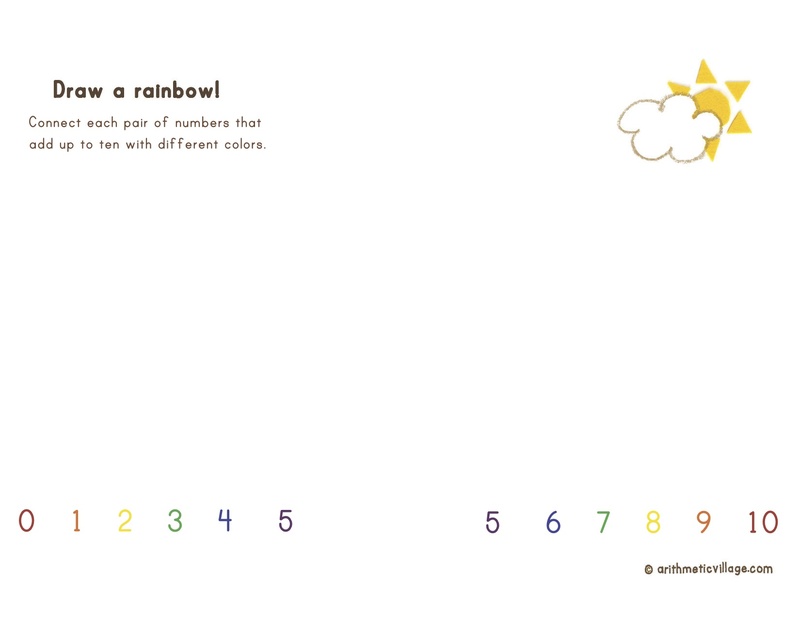 I love the moment when children discover the number partners that add up to ten. 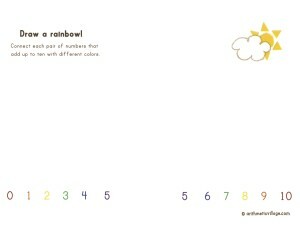 This rainbow activity, is a lighthearted way to discover these facts. 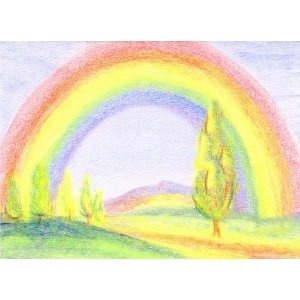 The picture is more vibrant if you use very thick crayons to connect the numbers together. Enjoy!